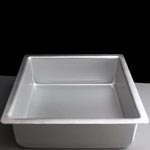 We stock a range of square cake tins perfect for baking professional square cake. They are available in a selection of sizes from 6 inches square to 12 inches square. 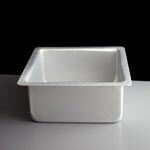 We also stock a square silicone cake mould from Zeal which makes removing the cake from the mould a doddle.